Trump and The Wall: smart like a fox? Or dumb as a stump? At the library where I blog, there’s a table displaying IRS information booklets. An ever present reminder that tax season is, alas, upon us. But in addition to the booklets, there was, up until a few days ago, a sign declaring that “Due to the Federal government shutdown, IRS services may be unavailable or delayed.” Which, given that about 8 out of 10 Americans get refunds, probably made the blood freeze of about 8 out of 10 library patrons. You know, the ones counting on refunds for little things like house or car payments. Or even groceries. But who, now that President Trump has caved on the wall, are probably breathing a sigh of relief. The shutdown lasted for 35 days, the longest in the nation’s history. Of course, the hold up was over funding for the wall on the southern border to limit illegal immigration. It was President Trump’s signature issue during the 2016 election and it played a large part in why he’s President. He’s demanding nearly $6 billion for the wall; not even enough to finish it. 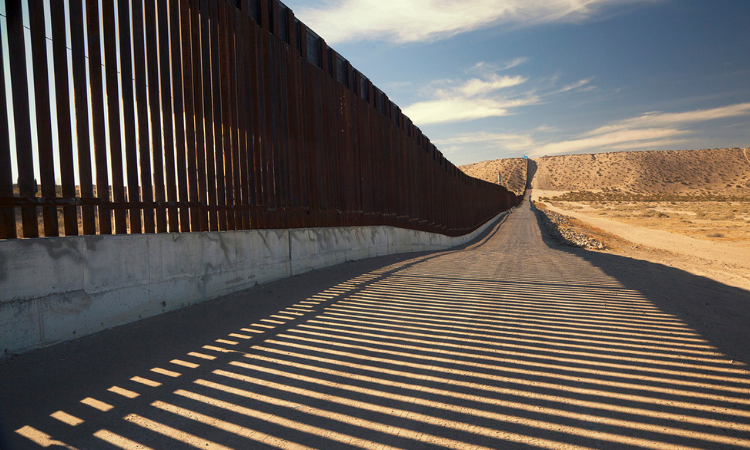 Democrats in Congress who, since last fall’s elections, have a solid majority in the House, flatly said “No!” They claim the wall is “immoral” and ineffective-despite having voted to fund a wall on the southern border in the past. And despite Democrat support for the massive amounts of US aid that we provide Israel (well over $3 billion for defense), which, at least in part, has helped fund their highly effective barrier. And despite the fact that walls have proved their worth in terms of border security and limiting conflict in many countries all around the world. Was it a fit of absent mindedness? But, in retrospect, the truly puzzling question about this Mexican standoff is: why now? But in the end, it’s hard to imagine that they wouldn’t have given the President pretty much anything he asked for in terms of the wall. So why did he wait until Democrats, the true “never Trumpers,” took control of the House to push the issue that, above all others, landed him in the Oval Office? This article suggests that the wall just got lost in the shuffle of starting up a new administration. This one, from the New York Times, suggests the issue is more complex than it appears. But neither are persuasive for me. The wall is political life. Or death. So the real explanation for this two year delay? Who knows for sure. But this much seems pretty certain to me. When the President surrendered on this issue, his reelection prospects took a nose dive. The otherwise reliably Democratic, industrial states of the upper mid-west, the fabled Blue Wall, the states that Hillary was so confident of winning that she virtually ignored them, but in the end voted for Trump, can easily flip back Blue. And, if they do, Trump will probably have the Presidential rug jerked out from under him. But who knows? Most pundits counted Trump out of the Presidential sweepstakes before he even got to the bottom of the escalator at Trump Towers. So just maybe, like the wily Mohammad Ali, The Donald is doing the rope-a-dope. We shall see. But, unfortunately, don’t hold your breath. I’m sure you’ve done your homework and know that a wall will not stop illegal drugs, which come through the ports of entry. And I wonder who would be objecting now if Mexico had agreed to pay for the wall, which was the most important part of the build-the-wall promise. If only the wall issue were the thing about the man I dislike the most!